Happy Thirsty Thursday! Nothing will get you in the mood for the weekend like this Pineapple Sorbet Wine Cooler brought to you by My Diary of Us! Because let's face it, if you can't be in tropical paradise right now you might as well have a sip of something that makes you feel like you are! One of these on the back patio in the sunshine will definitely transport you to a vacation state of mind! 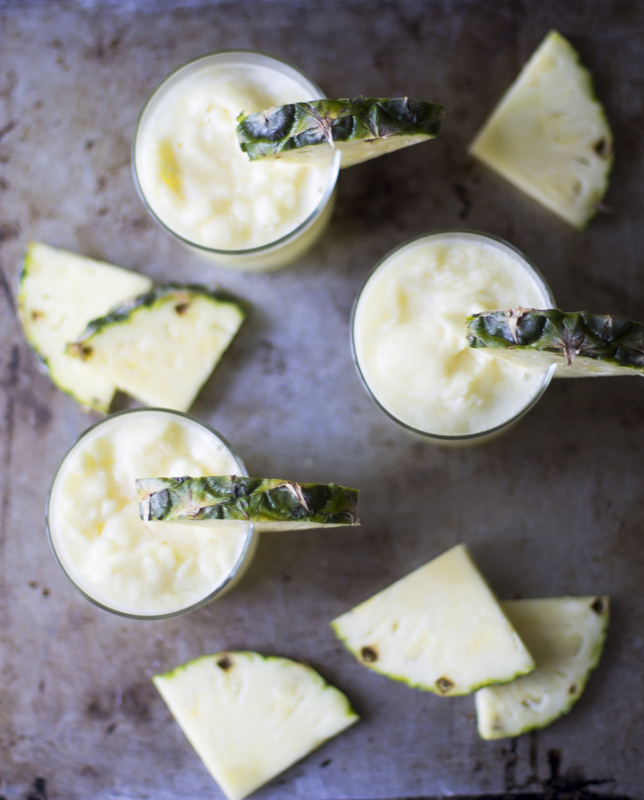 In a food processor or a high powered blender combine your frozen pineapple, honey, and coconut milk and process on high until the mixture is creamy and smooth. At this point you can eat the sorbet immediately, but for the cocktail you will want to freeze it for at least 4 hours in advance. 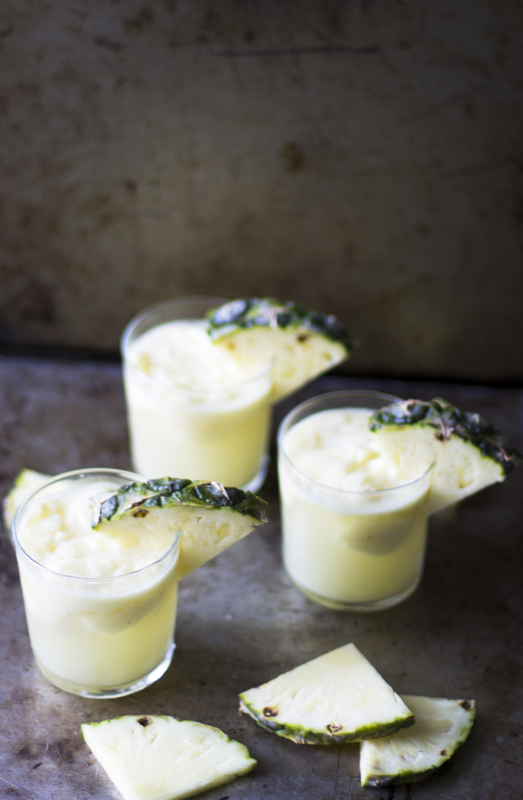 Scoop out 1-2 scoops of the pineapple sorbet into a glass and pour white wine over top. Hop over to My Diary of Us for more cocktail inspirations for your Thirsty Thursday!